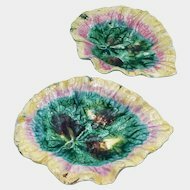 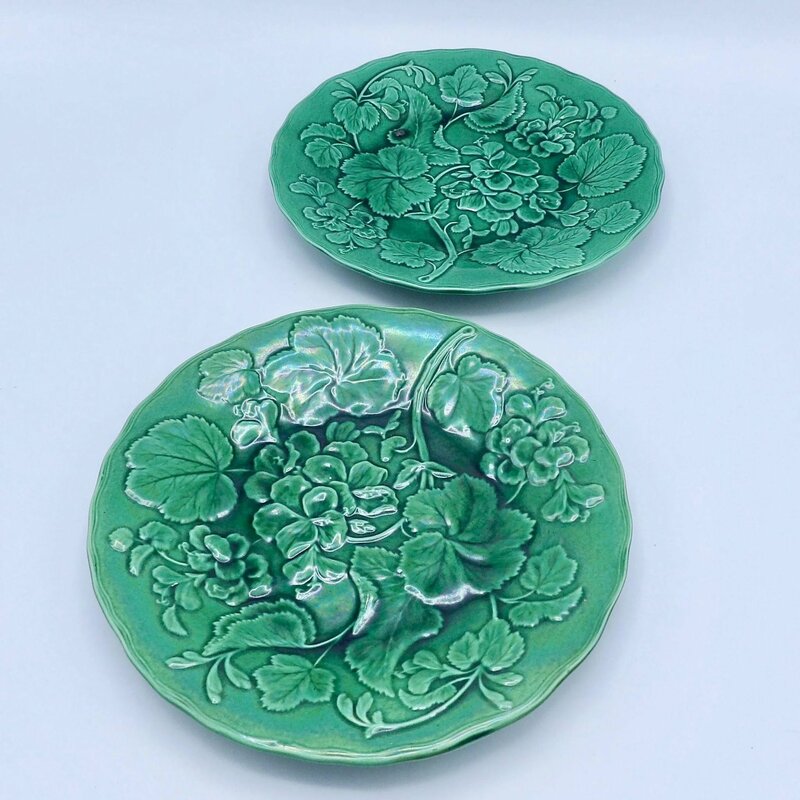 A fantastic and bright pair of antique green Majolica plates. 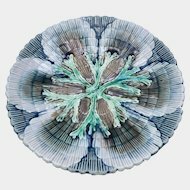 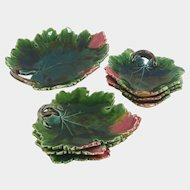 The pattern on these plates is of a variety of leaves and even flowers- begonias, grape leaves and large lettuce leaves. 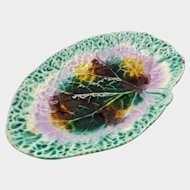 There is a layering of leaves happening to create a whimsical pattern. 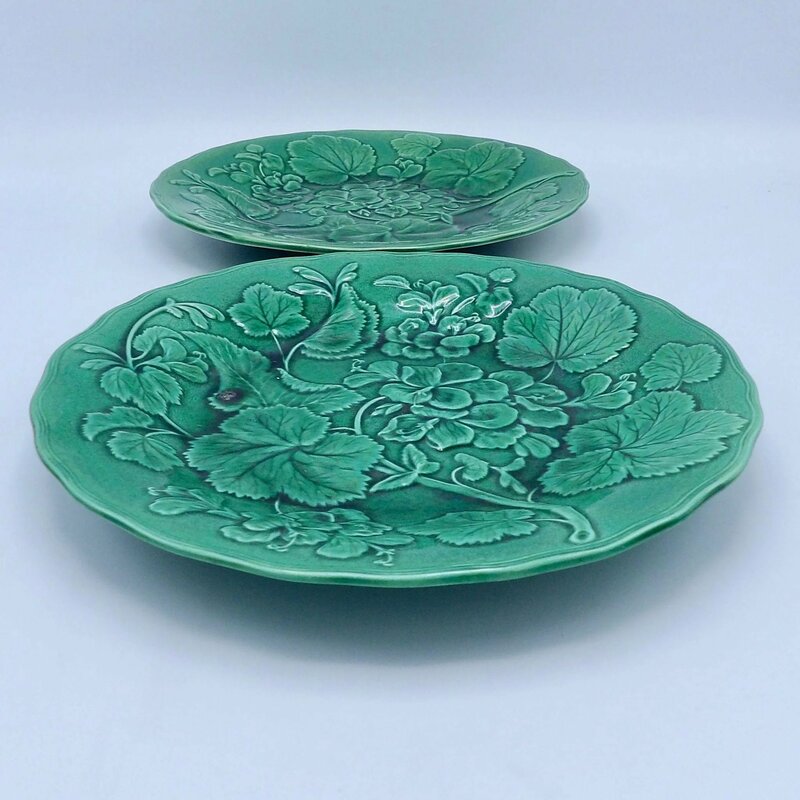 The plates are glazed beautifully, with a high copper content that produces the seductive green color. 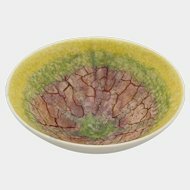 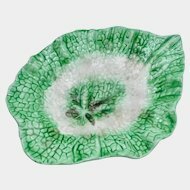 The greens are deep and vary in color; there is some very nice pooling of glaze happening on the plates that creates even richer colors. 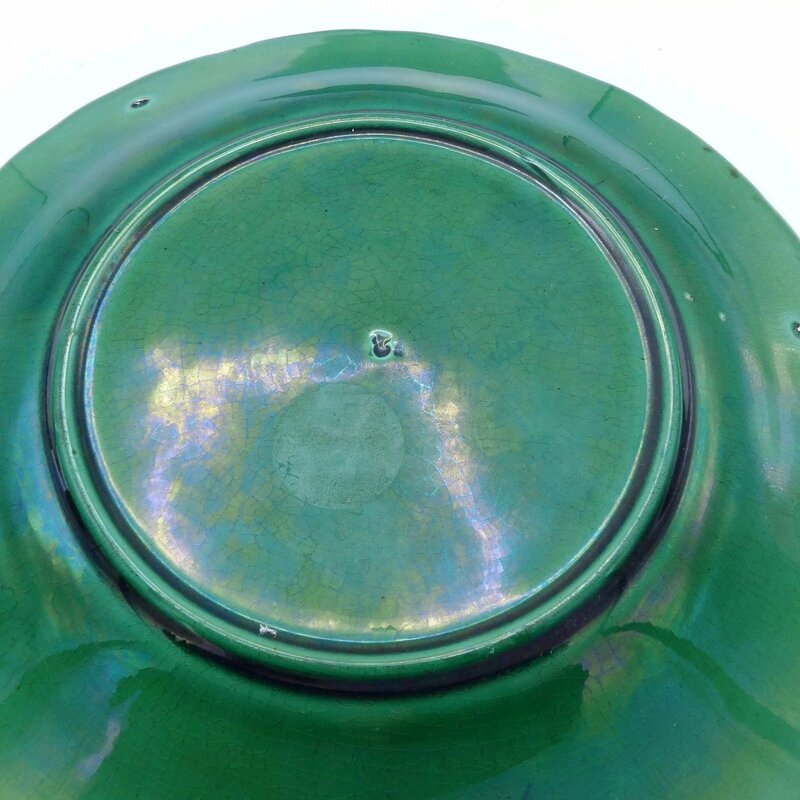 Three stilt marks are visible on the base of the plates, which is how they were raised to be glazed when fired. 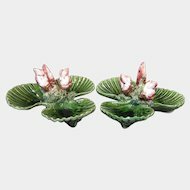 These are Victorian dishes, circa 1890, so crazing on the glaze only adds character to these pieces. 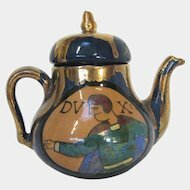 They are not marked on the base but they are similar to some made by Wedgwood. 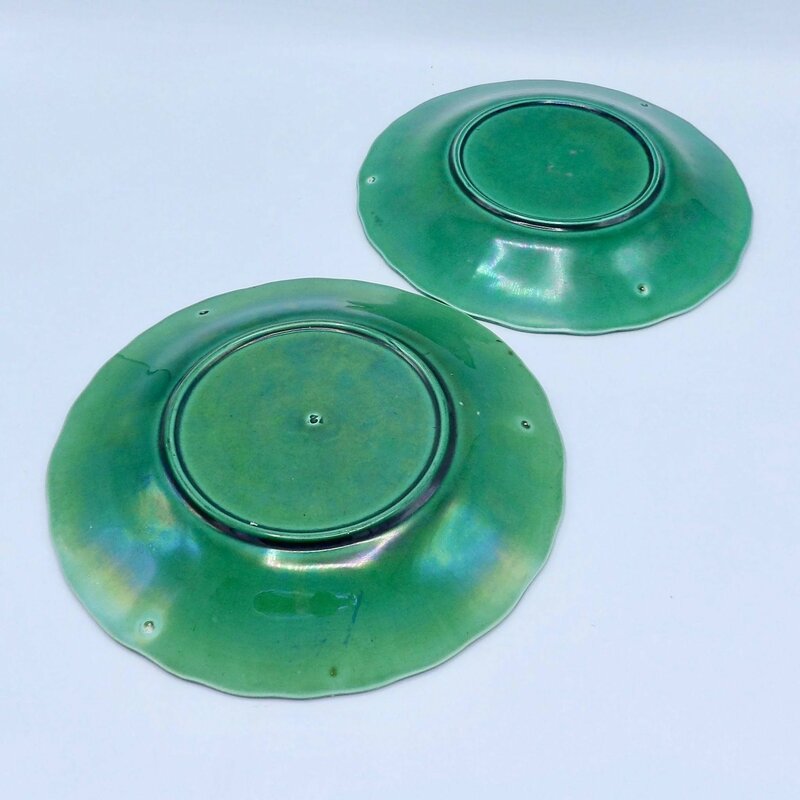 These antique plates are in great condition for their age, with no chips to the edge or wear. 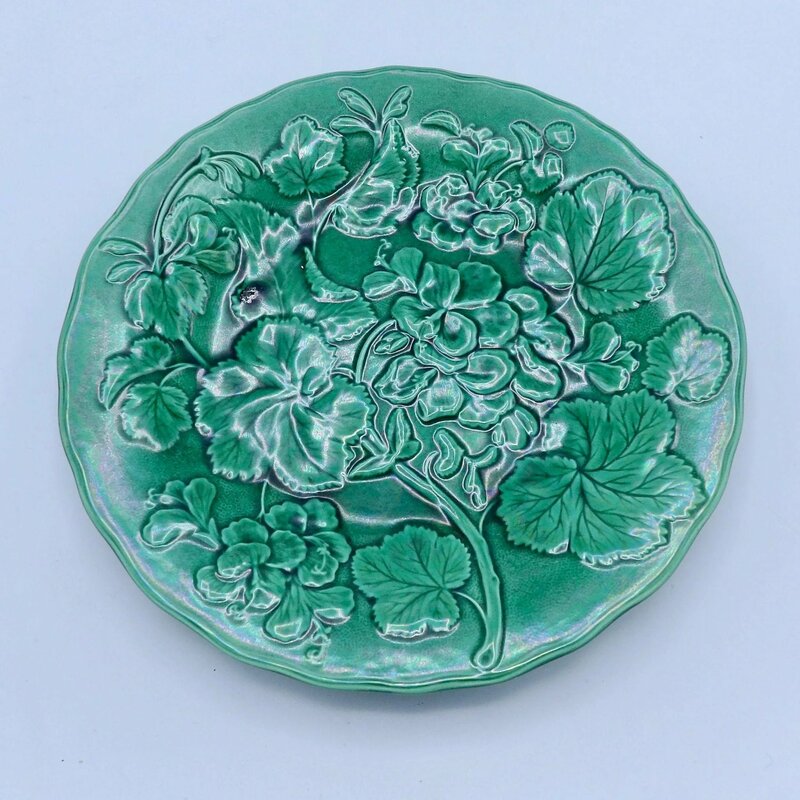 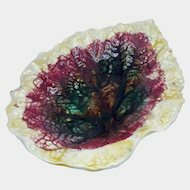 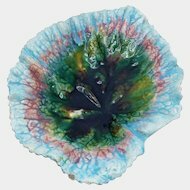 There is some light crazing, which is normal for the low fire hand painted glazes of Majolica. 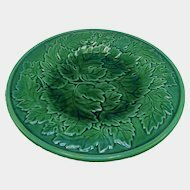 The plates measure approximately 9 1/8" across. 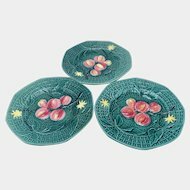 A lovely ceramic set for any antique collection, these dishes make great dessert plates. 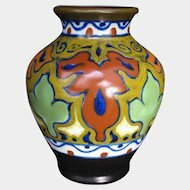 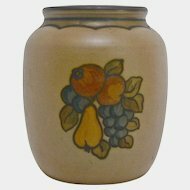 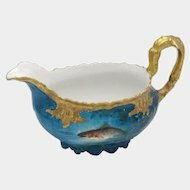 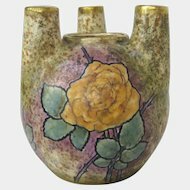 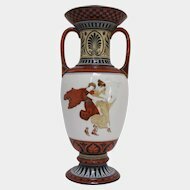 Majolica is a low fire earthenware pottery so they are to be handled carefully. 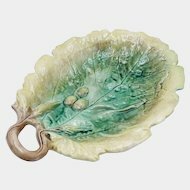 A beautiful set for any home!